FINALLY. Oh my gosh, I have been working on this afghan for almost a year and I finally finished it last week. This baby has sat through countless episodes of Gossip Girl, Game of Thrones, and The Real Housewives of Beverly Hills. I had made my black and white chevron afghan last year and fell in love with the pattern, which I found from Love, Elycia. I was looking through Elycia's blog and thought that her multi-colored afghan was adorable and wanted to make one of my own. I picked out pink, blue, black, and white to match my bedroom and think it turned out spectacular! Now that this afghan is finished, I have so many ideas for new afghans. I am making a summer garden afghan for my sister, which I made for myself two years ago, and this granny square blanket for myself. I already have all of the yarn I need for those two projects, so those should keep me busy for awhile. After finishing this afghan, I have officially become obsessed with crocheting them! I can't wait to explore all of the afghans that are out there. 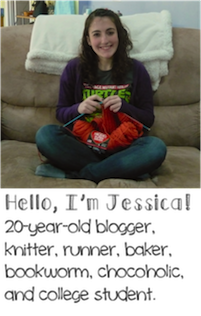 Hopefully they all don't take as long, though, or else I'll be crocheting for years and years into the future! Just lovely! It feels so good to finish projects, doesn't it? 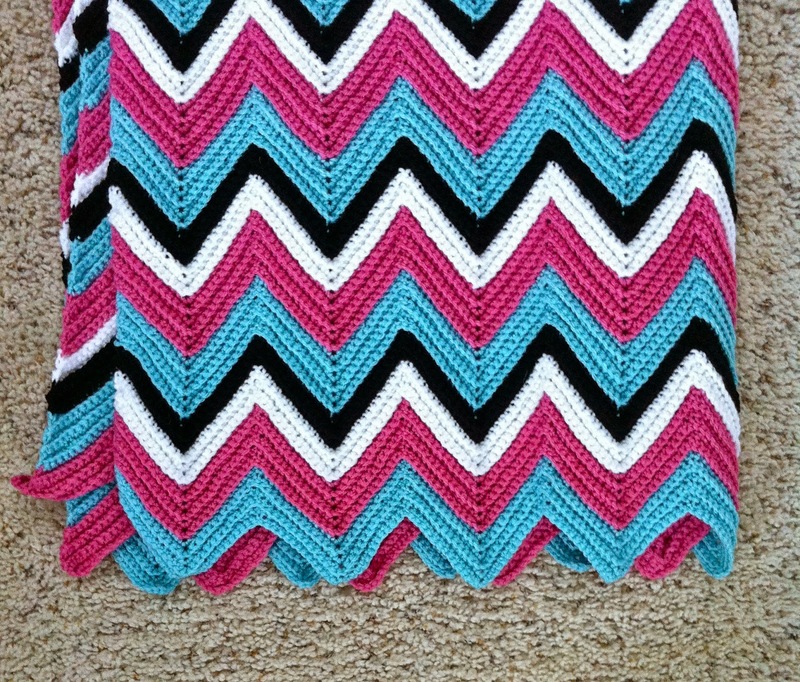 Now, if I could only motivate myself to finish the blanket I'm crocheting for the friends baby...ha!